SteamWorld Heist is certainly one of the most anticipated releases heading to the 3DS eShop this year, coming to the portable first ahead of a slew of HD iterations. The success of SteamWorld Dig on the portable was an integral part of Image & Form's recent momentum, with numerous ports following once the critical acclaim and sales of the 3DS title became clear. As company CEO Brjann Sigurgeirsson made clear to us as we sat down for an extended three-hour preview of the title at the EGX event in Birmingham, the 3DS version isn't a downscale or port of the iterations that'll eventually land on Wii U and more besides - it's been built for the portable. Part of that is undoubtedly down to the studio's experience on the system and familiarity with its technical peculiarities, and after spending time with the game we believe what we're told. The visuals are sharp, smooth and employ a subtle but pleasing 3D effect; Nintendo's portable seems to be getting the full-fat SteamWorld Heist experience. Much has changed about the game since we played an extremely early PC build many months ago, and certainly for the better. The open world - or galaxy - approach in which you run heists on procedurally generated stages is entirely gone, replaced by a linear stage-driven structure with a progressive overworld. There are splits in the path for sub-quests or accessing special in-game resources, for example, but primarily it's all about clearing stages, earning stars for performance and progressing through the campaign. 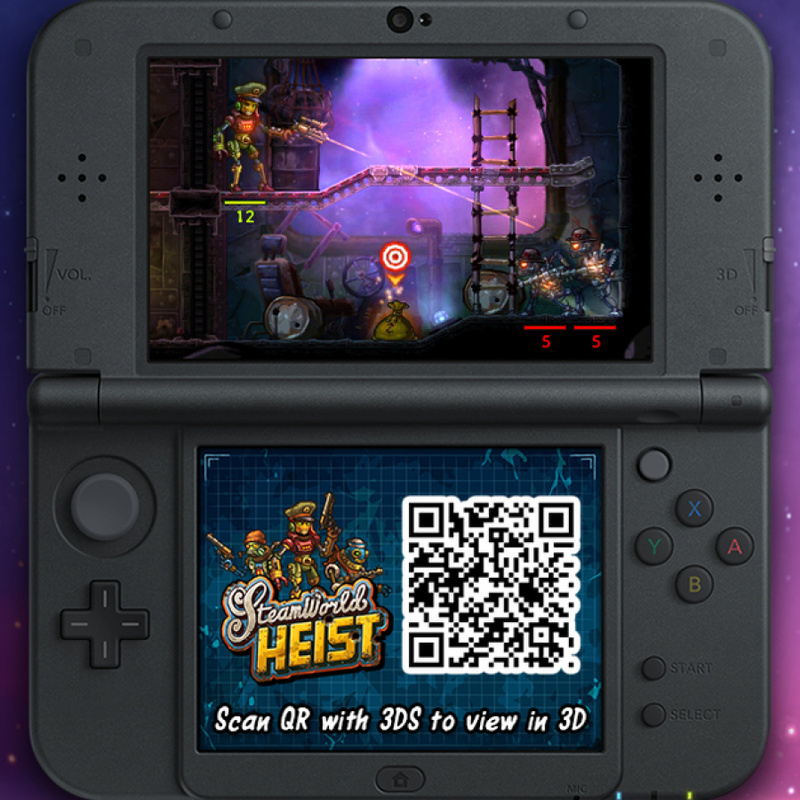 It adds clear purpose to the experience, which seems like the right call in light of the style that Heist brings. As most will be well aware by now, it's a notable departure from series predecessor Dig, bringing a new feel to the franchise. The side-on 2D turn-based strategy, which combines with player-controlled precision aiming for gun shots, has shaped up nicely with the year's development efforts. There's plenty of polish, with a control scheme supporting options to scout ahead and plan carefully, and each stage offers enough cover and strategic depth to keep players thinking and, perhaps after a rough run, replay for a full three-star ranking. The 3DS version also has a handy map on the bottom screen to keep track of areas discovered while embarked upon a mission. In moving to a story-driven linear structure Image & Form has been able to focus on balancing its many mechanics - which we'll come to - and also to produce stages with plenty of variety. There are 'worlds' to tackle, with the first two being populated by Scrapper and Royalist robot clans, and we tackled a host of diverse challenges. In one case we had a limited number of moves to destroy a set number of enemies, in another we needed to take out a ship's generators, while in another our task was to collect particular loot - though grabbing items is always important. We also took a shot at a tricky Boss battle, a hulking robot with a preference for melee attacks rather than attacking from a distance. A few errors cost us dear, so we learned quickly that careful planning is rather vital. As a strategy title, of course, great focus is placed on understanding your team and their abilities, utilising them efficiently to tackle the challenge. The designs are quirky and each robot has a distinct character, but more important is grasping the gun styles, from sniping to powerful spread weapons and even equivalents of bazookas. A typical stage took us on average about 15-20 minutes, as rushing into a room or area unprepared led to problems entirely of our own making. It's thoughtful strategy that's required, with consideration of potential enemy movements and environmental concerns such as cover, shoot-through and solid platforms, explosive items and more - it's a strength and point of interest we'll return to later in this article. Beyond grasping core weapons you also need to consider sub-weapons and abilities, which could be an alternative such as a grenade, a power shot or a restorative buff; some are limited use, while others require cool-down time. Each character also has their own upgrade tree based on mission-earned XP. As you acquire and recruit more characters into your crew this will be vital, and it was explained to us that simply going out with a favoured team repeatedly is heavily discouraged - certain enemies and stages require specific abilities, so rotating your team per mission will be integral for long term success. Beyond those layers of detail is a mechanic that is - in part - familiar from SteamWorld Dig. If you lose a team member in a level they won't gain any vital XP once the stage is cleared, while failing completely as a team will cost you half of your water (the game's currency), which is a fairly punishing deduction. As a result it's clear that money earned (and collected) in levels is there to be spent on crew members, weapons and any items that boost your chances, as hoarding cash could just lead to a painful loss. You have to manage those investments, though, as you have limited inventory space and storage. This is all familiar fare for strategy game fans, of course, and there's admirable depth to SteamWorld Heist that's clearly been the result of many hours of tweaking by Image & Form. Sigurgeirsson acknowledges though, and has done so in past videos issued by the studio, that such a drastic shift in genre and complexity represents a challenge for the company. Dig was instinctive and simple to understand, even though it had multiple layers beyond the simple gameplay that skilled gamers could appreciate. In that title you dig, find goods, buy better gear and work your way downwards and towards the ultimate goal. As a result Heist is a bold project for the studio. It was surely tempting to simply make Dig 2, or a similar title right away, but instead we have something entirely different and in a genre that perhaps has a reduced mainstream appeal compared to the action, exploration and platforming of its predecessor. 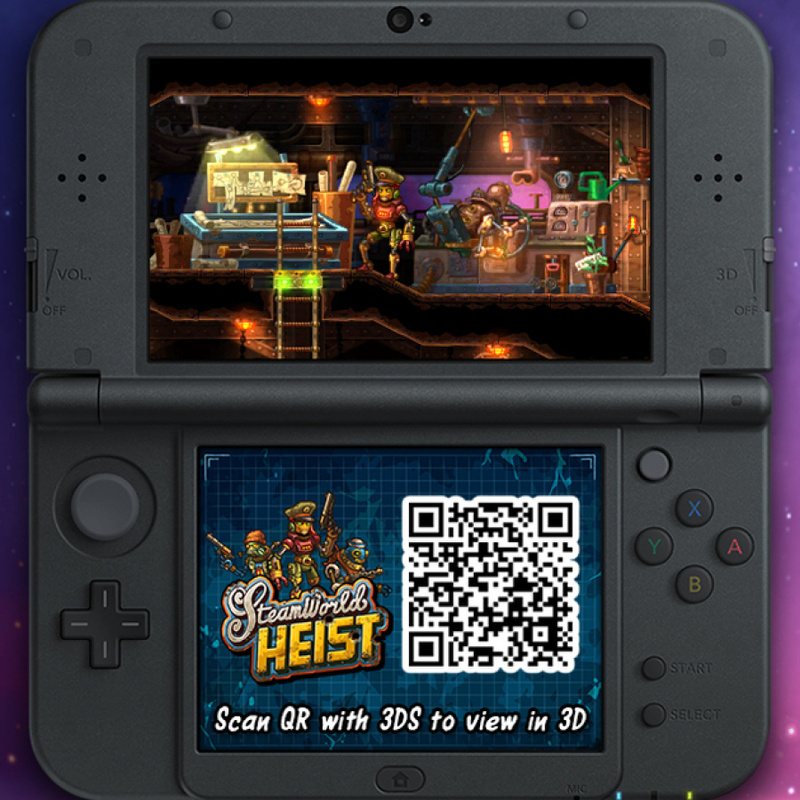 The overall quality remains very high and we've been particularly impressed at how the game looks and feels on 3DS, though we'll watch with interest how the many fans of Dig react to the gear change Heist brings. That said, Heist's ambition isn't just structural, but also in terms of the value it'll offer to players. We're told that the campaign will likely take most players between 12-16 hours, and considering its style it'll be impossible to blitz through quicker. As Sigurgeirsson explained - "a concern we had after Dig was the reference to it in some quarters as being quite short - with Heist we didn't want grinding but wanted greater length. I can't see people speedrunning this game." In addition there will be four or five difficulty levels in the final product, which can be adjusted on the fly per mission if a particular stage is overly challenging. It's hoped that this will encourage replayability, on top of New Game+ content that'll be included. 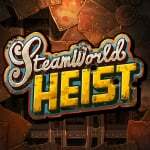 After all of this detail on the relative depth of SteamWorld Heist, we do want to end with re-assurance and clarification on some of the qualities it retains from the much-loved Dig. For one thing, the art design has that familiar feel of rickety-yet-advanced Steam technology, with robots adopting quirky human personas. The Wild West vibe is also present, and there's plenty of humorous dialogue and a host of silly-yet-brilliant names for characters. The design loses none of the identity and charm enjoyed in Dig, and in fact represents an improvement courtesy of the hefty setting, script and plot development. As an example of the delightfully silly touches in the game we got to test out the Hat mechanic - if you shoot off an enemy's hat it pings off into the map as they share typically over-the-top surprise that you've been quite so bold. In fact we became so obsessed with triggering this and recovering the hats - which can then be worn by your crew - that we'd sacrifice damage-inflicting attacks to focus on hitting these stylish accessories. Its utterly ridiculous and unnecessary, yet at the same time it's a great inclusion - collecting hats for robots is a peculiar but entertaining sub-task. 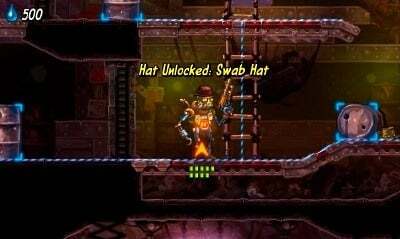 With that, then, fans of SteamWorld and Image & Form can be reassured - the developer is still focused on sharing humour and making you smile as you undergo your quest. With that familiarity comes an entirely different experience, however, and one that'll perhaps cause some Dig fans to hesitate. For those with a taste for turn-based strategy though, whether they're existing or potential SteamWorld fans, this is certainly one to watch very closely. I'm a fan of SteamWorld, Image & Form, and turn-based strategy so bring it on!! Sounds great. Definitely my most wanted game at the moment. I'll even break my £10 eshop rule to get this day one if I have to!! Cannot wait for this game any further!! Release date NOW! I think when that release date is finally announced I'll play through Dig again to get in the spirit of the franchise. My main complain about Dig was the lack of depth..., so I'm fine with this. Bring it on! 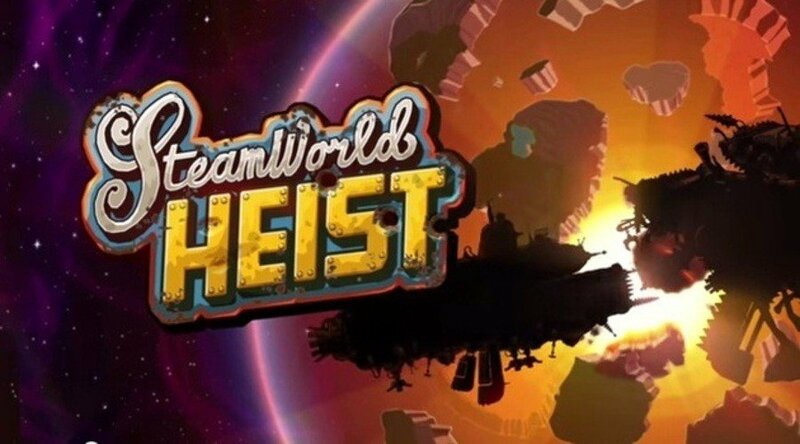 I recently played through Steamworld Dig (got it with the Nindie Humble Bundle) and I'm very looking forward to Heist! Heist looks great but they should really consider making Dig 2 in the future. Let us dig even deeper until we reach the other side of the world. Really disappointed in the lack of comments in most of the Heist related topics. I'm going to take a wild guess that it will once again be word of mouth that sells this game. Will it be too nitch to sell as well as Dig? Only time will tell. Why are the waiting so long to announce the release date? @Spoony_Tech We'll gladly slam in from the side again like we did with Dig. I think word of mouth will sure help, but also great review scores. Time will tell, like you said, and we can't wait. @holygeez03 That one's pretty easy to explain: we don't have one yet. You guys will be among the first to know. @daggdroppen Don't worry, we won't have spent two years on making a boring game. Since you're a fellow Swede, please drop by the office and see for yourself. We'll throw in a free cup of coffee, so you'll definitely get value for your €1. 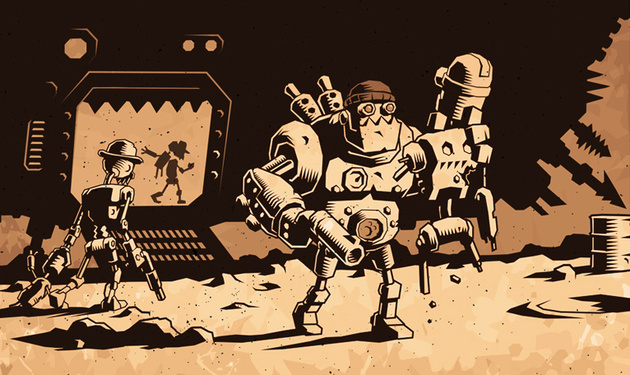 Can you guys create a Super Mario Maker level inspired by Steamworld Dig? I think it would be really fun to dig down and find pipes/doors/enemies... I want to create one, but I don't have the time (or talent). @holygeez03 We actually HAVE made a SteamWorld Dig SMM level - it's called "SteamWorld Dig" (surprise) and you'll find it using the level ID D847-0000-0068-32CA. Have fun with it! Oh awesome... I couldn't find it on the NintendoLife SMM database.